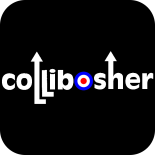 Collibosher | Putting the fun back into live music! Welcome to Collibosher’s Home Page! We are a sixties/mod/pub-rock group based in Dagenham, Essex. We formed in the second half of 2011. The group consists of Chris Gladstone (guitar), and brothers Mark and Dave Spagnol (lead vocals and bass/backing vocals), and Mick Purvis (drums/backing vocals). Our musical style is based around 60s and 70s British Beat Music (The Kinks, The Who, Small Faces, The Jam, The Yardbirds etc.). It means we have to work hard – our songs typically take around 3 minutes to play, so we have to learn a lot of them! That’s right, we don’t extend your favourite songs by adding long guitar solos, we keep them authentic! At present we are doing covers and are part time, with other day jobs, so mostly we would be available at weekends, and in London/Essex area as we are based in Dagenham. Check out our videos. If you want us to play for you, please contact us by email: info@collibosher.com. this looks interesting, might have to come along to the Sunday gig. We’re gigging in the Bishops Stortford the night before. It’s to far for me to come. Best of luck on your musical career.